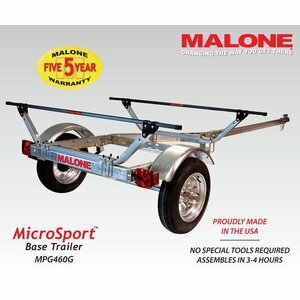 The MPG460G MicroSport™ trailer is a perfect combination of affordability, quality and design reliability. 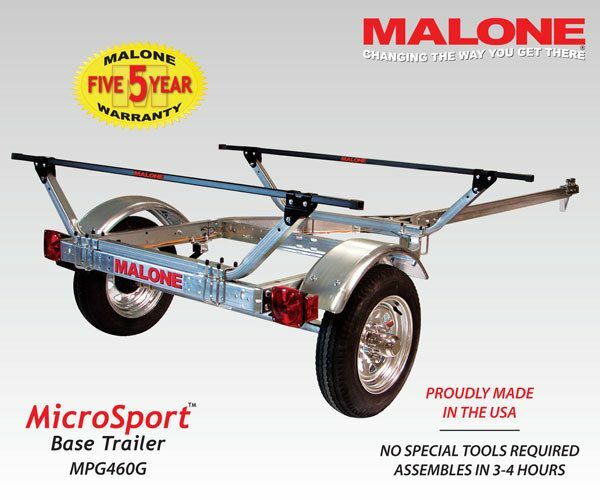 Each kit includes: 8' reinforced tongue, DOT approved lighting & bearings, pre-wired electrical system, pre-fitted chassis components, 65" coated steel load bars and 12" galvanized slotted wheels. Assembles in approximately three to four hours with standard tools. Width - 65", Length - 159"